It seems that these hi-tech gadgets have cast a spell on the children just like the Pied Piper did on them! Children have become these little techno junkies! And parents seem to be unaware of the fact that the massive exposure to screens is harmful to the children. Since every modern household has an essential subscription to one of the internet packages such as Optimum Internet, the children have easy access to technology. Parents are busy in their hectic lifestyles, trying to accomplish their deadlines at work and commitments at home. Therefore, they don’t consider leaving children with the gadgets something to worry about. It would be wrong to say that the use of technology and gadgets for children is entirely harmful. Technology can actually prove to be helpful for children to learn cognitive and social skills. Gadgets can be good friends and bad enemies at the same time. In order to gain the merits of technology’s positive edge, every parent should have thorough knowledge about the safe screen time and other related things. Is Keeping them Completely Away From Gadgets an Option? The simple and straightforward answer would be NO! 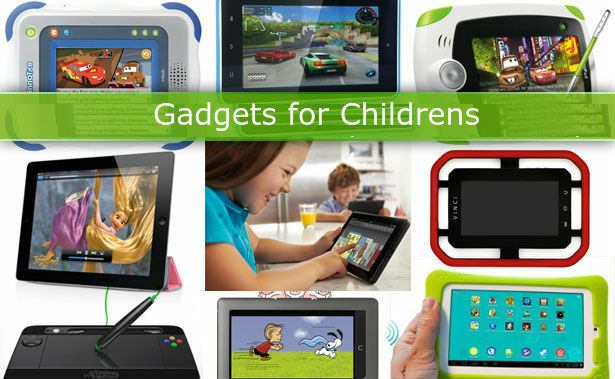 This is the age of information and it is essential for every child to take the benefit of gadgets and technology. Keeping your child away from them would probably result in making him the odd one out amongst his generation of kids. How to let your kids have the essential benefits of gadgets while saving them from getting addicted to the infinite entertainment options online? What is the safe screen time for children according to their exact age? In what ways is a child influenced by the exposure to gadgets? What could be the effects on a child’s brains – according to psychologists? And the list goes on. These are the actual and genuine concerns. Parents, adults, and teachers should enlighten themselves with this kind of common knowledge. While everyone is thoroughly convinced about the positive aspects of gadgets and technology, we will discuss some downsides too. Why Kids And Gadgets Together Is a Bad Idea? The United States Center for Disease Control and Prevention enlightens that an average kid spends almost 8 hours per day staring at electronic screens. The use of gadgets increases further with age. There are various research pieces, which indicate that children may suffer from long-term vision issues. Except the video games and TV, most of the new fancy gadgets have emerged in the last two decades. And their popularity spread like wildfire! Good luck with efficient parenting!